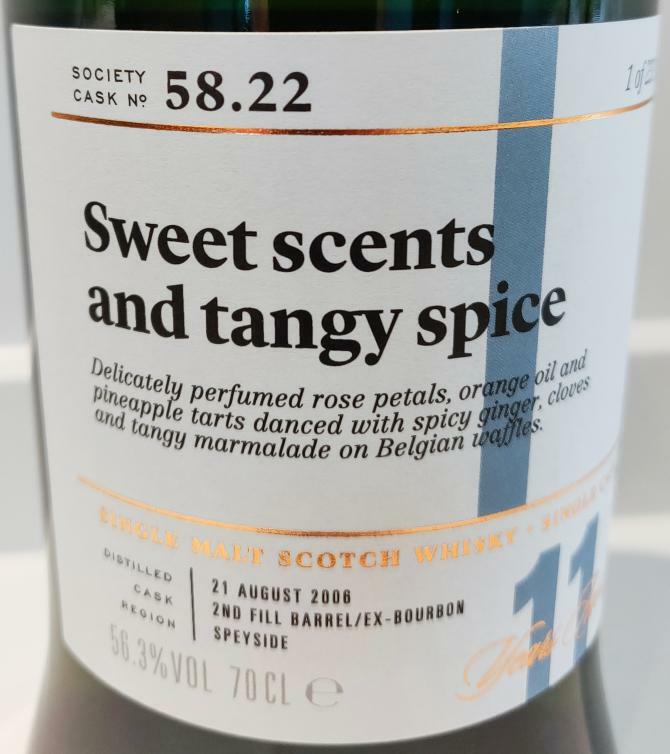 Price £54.70 https://www.smws.com/sweet-scents-and-tangy-spiceAromas teased the nose with sweetly scented aromatics that ventured through delicately perfumed rose petals, potpourri and dusty talcum powder. Light fruit notes followed closely, combining orange oil with zesty pineapple tarts before turning to sticky jelly sweets. A waft of milk chocolate carried us onto the palate with waves of Belgian waffles and pink wafers wrapped by the warming tingle of crystalised ginger. 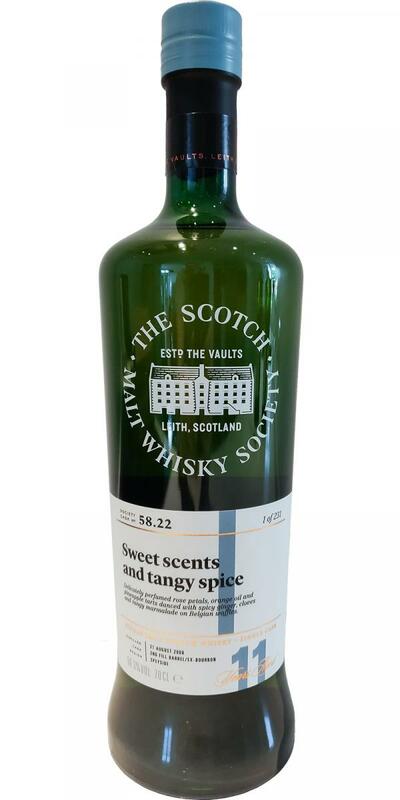 A cool breeze of mint leaves and eucalyptus drifted over dry pinewood whilst water released spicier dimensions, incorporating garam masala and cloves with the tangy finish of candied lime peel and marmalade.